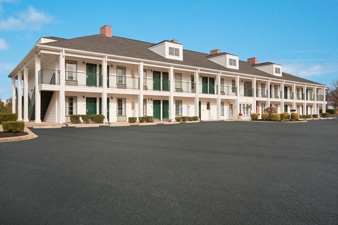 Enjoy a warm southern welcome at this Baymont Inn and Suites Duncan/Spartanburg, just off Interstate 85, convenient to the Greenville Zoo, River Falls Plantation Golf Course, Greenville-Spartanburg Memorial Airport, Paris Mountain State Park and corporate offices. Pets are welcome at this lodging, which offers complimentary wireless Internet and complimentary breakfast, as well as fitness center and large-vehicle parking. Take care of work details in the business center with computer access and fax service, and when the work is done, splash in the outdoor pool. For your convenience and comfort, rooms feature pillow-top mattresses, cable TV channels, microwaves and refrigerators, ideal for longer stays, and there is no charge for kids 17 and under when staying with adults. Some say that Chimney Rock looks like something other than a chimney. Take an elevator to the top! The state park also contains Moonshiner's Cave and the 185 stair-challenge of the "Needle's Eye." A life-size bronze rendering of James Robert "Radio" Kennedy, mute and beloved human mascot of T.L. Hanna High School. A 2003 movie was based on his story. A goggle-eyed, formerly despised (and buried) statue of a Confederate soldier that was exhumed and is now beloved.